Home » Bankruptcy » They’ve Repo’d My Car! What Can I Do? I had several calls Tuesday. Apparently, the repo people had been out and about and picked up several cars. The callers wanted to know if bankruptcy would help them recover their cars. Bankruptcy can work to recover your car, but there is a set period of time in each state in which you can get your car back. 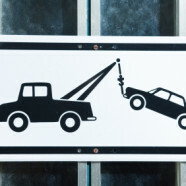 Filing for bankruptcy as soon as is humanly possible is quite frequently the easiest, fastest way to recover your car. In most cases, you would need to file a Chapter 13 bankruptcy, in which you pay back the amount you were behind on your payments and you continue making current payments going forward. If you don’t have income and won’t be able to pay the ongoing payments, Chapter 13 is not for you unless you have a generous friend or relative to help you make payments. Call my office at 770-631-2334 if your car has been picked up. We’ll see what can be done to get it back for you as quickly as possible.